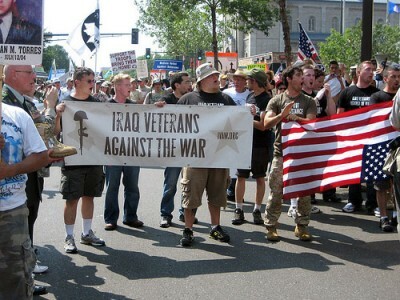 Iraq Veterans Against the War (IVAW) – an organization comprised of individuals who served or continue to serve in the US Military following September 11, 2001 – calls on Congress, the President, and his administration to reject the use of violence and militarism in response to the current outbreak of violence in Iraq. Many of our members deployed to Iraq during the recent US occupation. Those of us who were there know first hand that US military solutions in Iraq do not serve the interests of the Iraqi people. We advocate for the self-determination of all people, in this case the people of Iraq. Any solution to this crisis must come from them. When the United States invaded and occupied Iraq, the formerly secular country was destabilized. The United States and the Department of Defense intentionally created and agitated sectarian divisions that would not have otherwise existed. The result of this is what we see today, and Iraqi civilians are paying for it. Iraqis have been paying with their lives for this war since March 2003. After 10 years of US occupation they were left with little relief. Their economic infrastructure was destroyed and new work to repair it has been awarded to US corporations and contractors, instead of to Iraqis. Iraqi labor unions face frequent retaliation, and an entire generation of children has been born with severe birth defects in places like Hawija. No one has been held to account. No effort has been made to clean the waste left behind. When it comes to arming “freedom fighters” the US has a tendency to act as a fair-weather friend; today’s freedom fighter becomes tomorrow’s terrorist and justification to pursue an illegal invasion. Instead of creating more chaos, we should be solving the problems that already exist. Instead of installing another puppet president, the United States should be cleaning up environmental contamination, investigating allegations of torture, and allowing democracy to blossom in both government and labor, without US intervention.